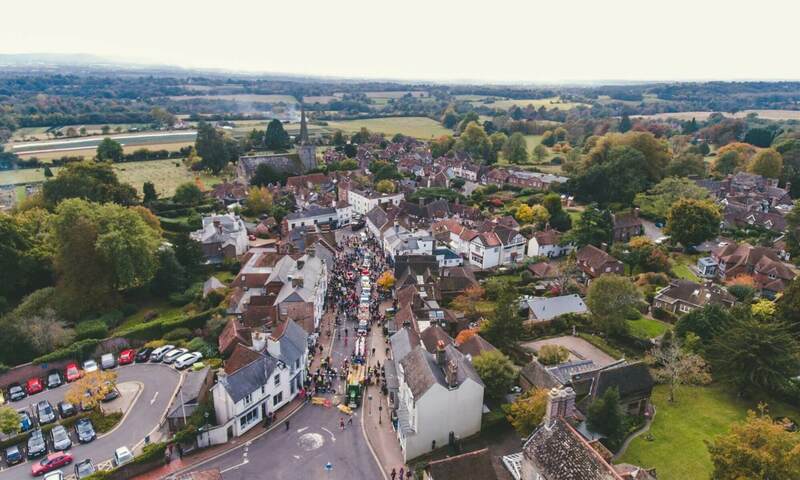 Held on the third Friday in October, the Mayor’s Election prides itself on being completely and openly corrupt – whichever candidate buys the most votes is declared the winner and elected as the next Mayor of The Independent State of Cuckfield. Why not start your campaign now? Candidates do not have produce birth certificates or be natural born citizens. The only rule is that they must have some involvement with Cuckfield though residency, work, or social connection. They are usually (but need not be) associated with one of the Cuckfield pubs, but they can also be linked to one or more other Cuckfield organisations such as the Dramatic Society or The Singing Allsorts! .Candidates can raise funds to buy votes by any means, and candidates have come up with many imaginative methods and often raise considerable sums to go towards those much needed votes on election night. The election and count and results are the highlight of the ISOC year. There is a tradition that candidates keep their votes discrete and so as the evening progresses more “votes” are remembered and totals rise just before the deadline and a winner is declared. Voting ends at 10:55pm, usually with a late flurry of votes before the winner is announced at 11pm. The candidate with the most votes is declared the winner and elected as the next Mayor of Cuckfield. The current Mayor stands for re-election at the end of their year in office, however only two Mayors, George Stevenson and Ted Murphy have won consecutive elections, and both of these were back in the 1970s. Every organisation that takes part in the procession receives a donation from the Independent State of Cuckfield, from the total raised by all the candidates at that year’s Mayor’s Election. After the election of the new Mayor the annual Procession through Cuckfield celebrates the winning candidate and the Independent State! ISOC is delighted to invite all local organisations to take part. Remember ALL participating organisations receive a donation from the Independent State of Cuckfield! anyone can be decorated to join the procession! Since the first election in 1966, many Publicans and other upstanding members of the Cuckfield community have won the election to be Mayor of Cuckfield. Over the years many fantastic people have allowed themselves to be entered into the race to become Mayor, and one or two have succumbed to a little arm twisting! There have also been several related Mayors, including Mother & Son, Father & Son, Husband & Wife (3 times! ), Father & Daughter, Uncle & Nephew, First Cousins, Partners, Sister-in-Law & Brother-in-Law. The 2006 and 2016 Mayor’s Elections marked the 40th and 50th anniversaries of both the Independent State of Cuckfield and the election. In recognition of these major milestones, 40 candidates stood for election in 2006 with Henry O’Donohue emerging as the victor, and 50 candidates stood in the 2016 election with Wilf Knighton taking the robes on that occasion. Here’s to 60 candidates in 2026!